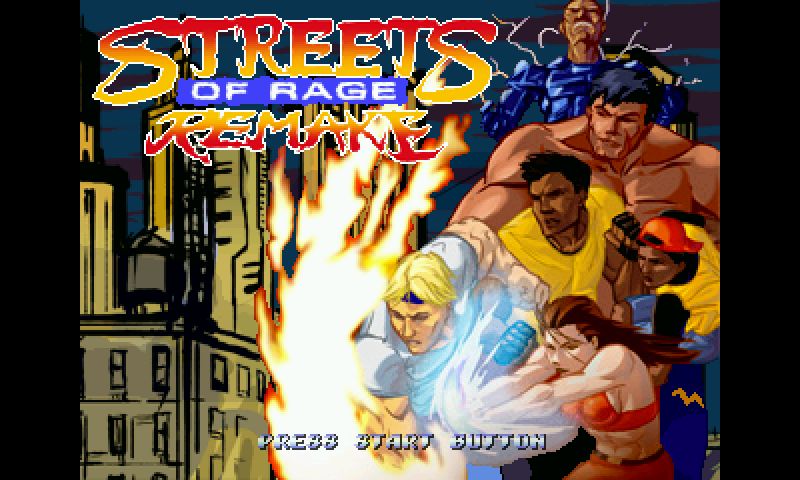 A remake of the side-scrolling beat 'em up series "streets of rage" originally released by Sega in the 1990's. 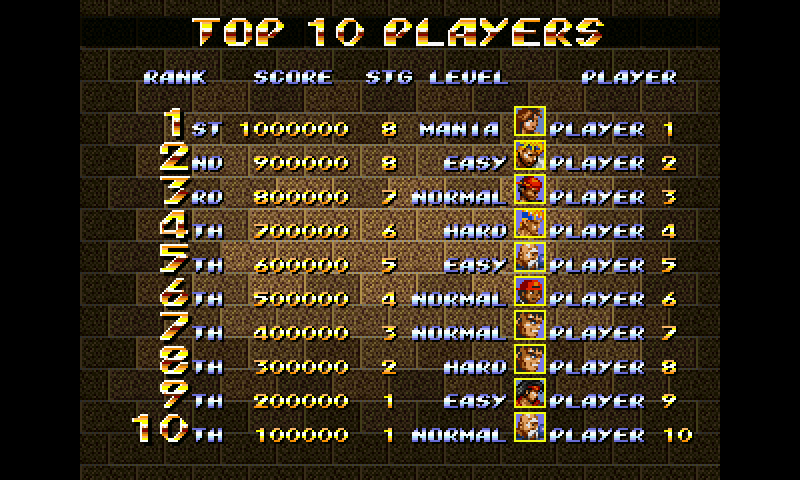 +new run script that ask for 640x480 or 800x480 (anamorphic) fullscreen, using omapdss SDL renderer. Packed with additional features not seen in the commercial release of the game, including firearms, multiple path choices, completely redrawn sprites, smoother gameplay, enhanced graphics and a completely reworked soundtrack. 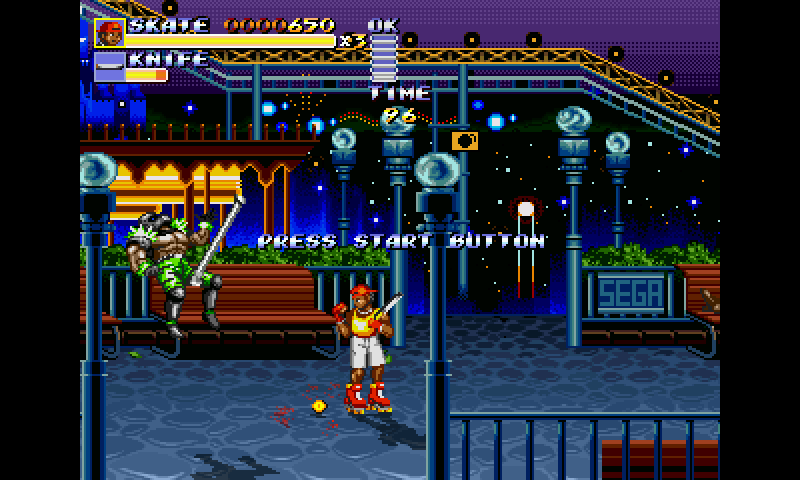 Although the game is based mostly on Streets of Rage 2, it also contains several elements, enemies and environments from the original Streets of Rage, as well as Streets of Rage 3. There are also unlockable bonus features, joypad support and a full options menu to customize the playing style of the game. 1. Find SORRv5 somewhere (maybe something like SORRv5.part1.rar or SORRv5.part2.rar but I can't help you there). 3. Run the game :) thats it. Mcobit for helping me package this PND. Dgame for providing basic instructions on how to run the game on the pandora (non PND version). Stuckie for porting bennu to the pandora. @ekianjo just an additional display option when u launch the game to give u the choice of full (stretched) screen or original with left and right black borders. A good port of a simply excellent game! Thanks all round!